Local Landscaping Contractor / Lawn Mowing Service Offers Shrub Trimming / Shrub Pruning for the Williamsport MD area for your home, office, church grounds and commercial property. 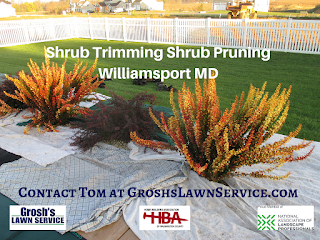 Now is the time to schedule your shrub trimming here in Williamsport MD with Grosh’s Lawn Service to help maintain the proper size and shape of your shrubs. Local Landscaping Contractor Tom the Landscaper for all your shrub and tree care needs here in Williamsport MD. 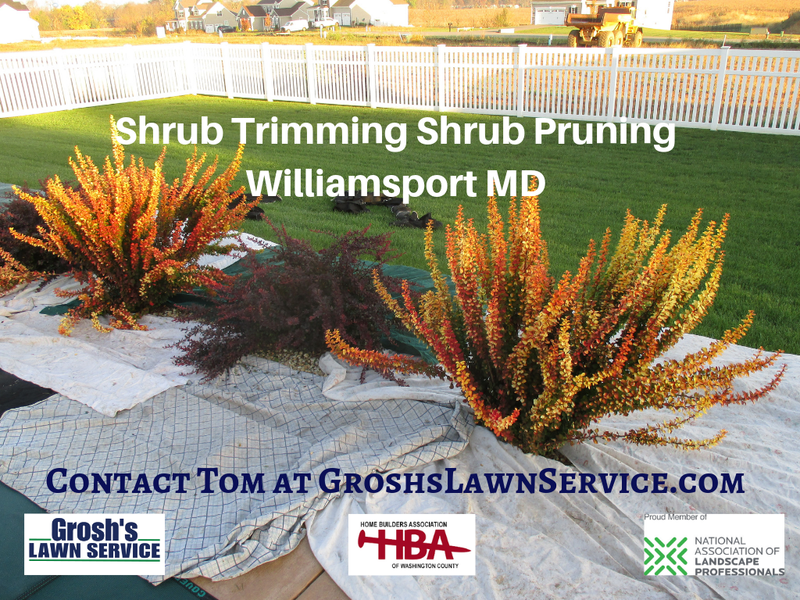 Tom and the team at Grosh's Lawn Service can properly trim your shrubs, cleanup all debris and haul away all debris here in the MD area. Timing is everything when trimming spring and summer blooming shrubs here in Williamsport MD. So e-mail us and then grab a book and some lemonade, schedule some extra time with your family, or do whatever you love to do, and let us do the work for you.